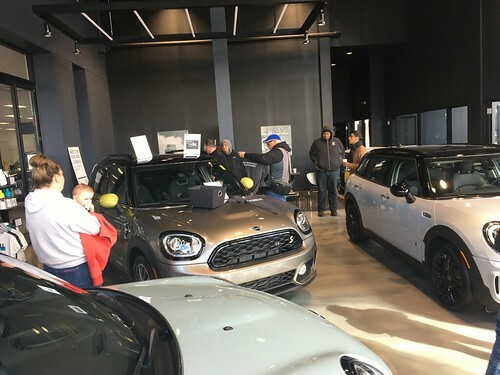 The Windy City BMW club has invited the Chicago MINI Motoring Club to participate in their Car Show at Autobahn Racetrack on Saturday May 16th. Our annual Spring drive will be on Sunday April 12th. WRAPUP: A beautiful spring day brought out over 55 MINIs looking for some fun back-roads to explore. A good sized crowd met at Full Moon and generated a bunch of interest from the motorcyclists hanging out there.. We took a short cruise up Greenbay Road and met up with a bunch more MINIs from the Milwaukee MINIs and other area clubs at Jelly Belly in Kenosha. We then headed out for a fun backroads cruise out to the Culvers in Elkhorn Wisconsin. A very fun way to open up the driving season. Send links to photos to steve@chicagominiclub.com and I will link them in here..
We will be taking an exclusive visit to the BellerMuseum in Romeoville, Ill on Sunday March 29th. WRAPUP: We had a nice group despite the cold and later rainy weather.. The museum was an amazing collection of autos and trucks in various states from showroom perfect to drivable authentic restorations, to waiting to be restored.. Lots of very rare machines and many from similar vintages to compare and contrast the model detail changes from year to year. Huge thanks to Jordon and Corinne for opening up and sharing this amazing collection, plus the stories behind the vehicles! !